Beautiful apartment located only one street back from the esplanade and close to the hospital in a quiet neighbourhood - and secure complex. 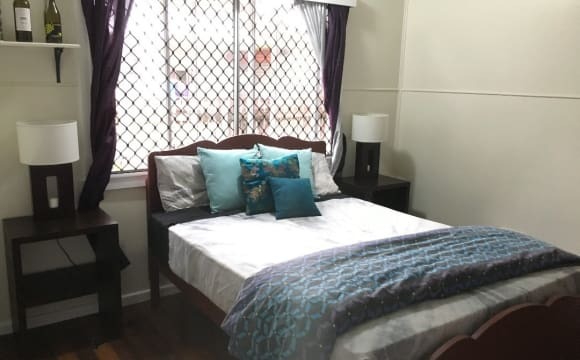 Adjacent to the Esplanade parklands and walking paths this is city living at its best, close to airport and hospital and walking distance to the city centre. Gated and secure this beautiful big carpeted and air conditioned bedroom has a queen bed and full width built in robes. Clean tiled floors in common areas which are tastefully furnished. Large share bathroom with shower above bath. Enclosed laundry with washing machine and dryer. Large balcony overlooking the swimming pool. Rent includes wifi, electricity, linen, and even Netflix. Respectful clean friendly honest persons need only apply. Singles only please. Overlooking esplanade and a short walk to the hospital. Lots of privacy. Secure. Clean. Quiet. WiFi. The bedroom has 2 single beds with built-in wardrobes and a private bathroom. There is a modern fully-equipped kitchen and lots of space. A large swimming pool on premises. Balcony with views. Rent is $200 for one person and $250 for 2 people - everything included. The lease expires on 29/05/19. There is one other bedroom with its own bathroom and that is mine. I live alone. 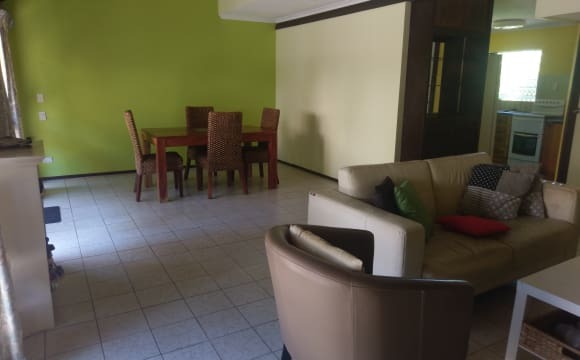 The house is a 2 bedroom furnished townhouse in a small complex. Includes air conditioning throughout the house, unlimited internet and a pool. The available room includes a queen bed, built in wardrobe, ensuite and air conditioning. 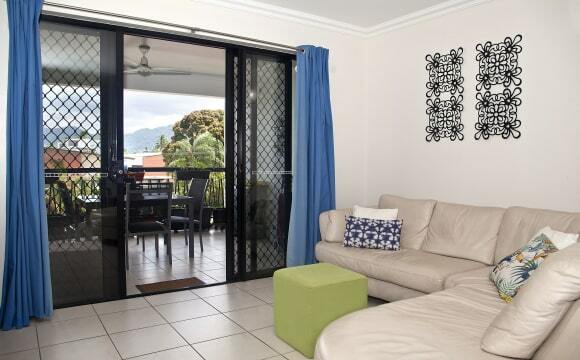 The house is close to the hospital, some ships and the waterfront and is a 20 minute walk to the centre of Cairns. No smokers and pets are not allowed. The beautiful Queensland house is located at Cairns North. Only 500 meters walking distance to the Esplanade. 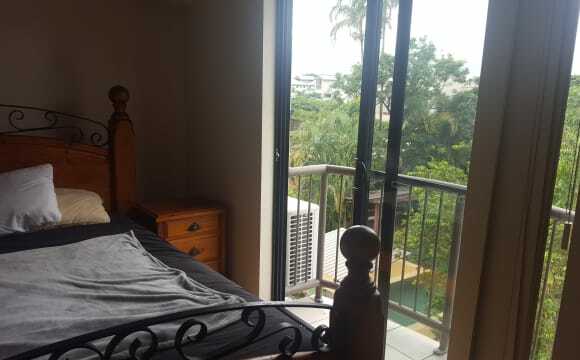 5 minutes walk to Cairns Hospital and Cairns city. Close to the public transport. 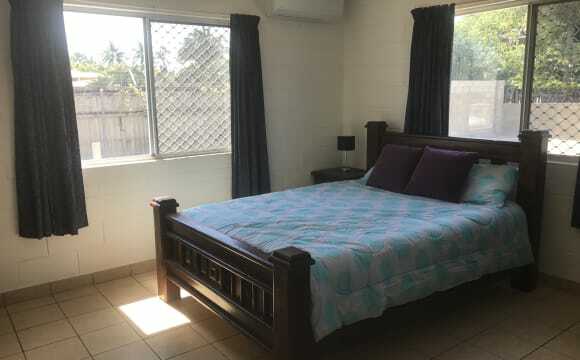 Furnitured room, NBN connected, air conditioned in the room. High celling, clean, bright, breezes. Looking for a clean and tidy and easy female.... I look forward to hearing from you if you feel you would fit comfortable into our home. Close to town, the Esplanade and other facilities. MiHaven Student Living. New, modern student only accommodation. Built with safety in mind, the apartments all have CCTV, high fences and swipe card access only. We are not a hostel or backpackers, and have our Resident Ambassador living on site. We offer accommodation for like minded students, who appreciate each others personal space &amp; privacy, but also like to mingle, hang out and live with students from other nations, and learn other cultures. Weekly BBQ's gives you the opportunity to meet new students and share life experiences. Just 1.5km from the city or a 20min walk into the Esplanade, gives plenty of options for experiencing Cairns and its surrounds. Bike hire is also available onsite. Available 10/05/19 - $170 per week in city location. Includes internet and utility bills. Complete with Wi-Fi. Queenslander home with character design. Best suited to young professionals who are considerate, friendly, employed, non-smoking individuals who appreciate a beautiful home as their sanctuary. 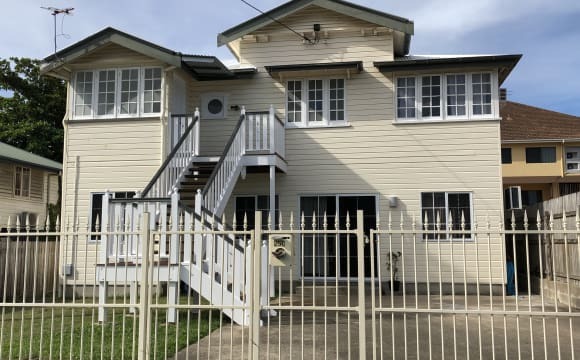 The location is just a short walk to the Esplanade, hospitals, city centre and Cairns Tafe College. A place for you to call home here in Cairns. Great friendly people to live with! Clean and tidy and very social. (: We are 10 mins walk to Cairns Central. We have a really big pool also. CLOSE TO CITY AND CONVENIENT - WELCOME TO YOUR NEW HOME... our homes are friendly, welcoming, safe and clean. Your friends are welcome to join you for a meal, movie. This fabulous home is fully furnished with clean, comfortable furniture. 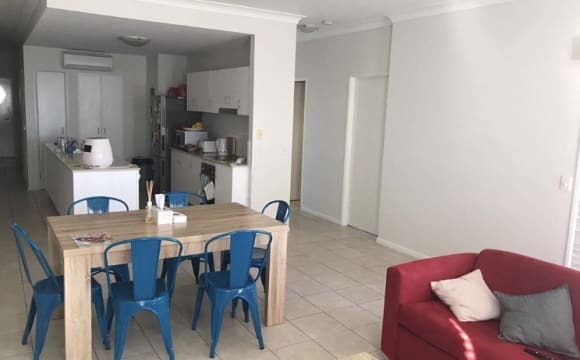 TV, lounges, well stocked kitchen including hotplates, microwave and rice cooker, all pots pans etc etc, private space for food, plenty of storage. Tropical garden in the back yard. Chill out in the outdoor setting area/s. BBQ on the back deck. ALL BILLS INCLUDED in one simple price structure. Unlimited WiFi, electricity, water - ALL included in rent. ******************************************************* AVAILABLE NOW = $145/week. Downstairs room, single bed, desk, draws, lamp, Cooling Fan, Clean and cosy. ******************************************************* This home is close to buses, hospital, shops - everything you need. Inner City convenience living in a great home - WELCOME HOME. Text / Call anytime to arrange a time to inspect the rooms. Applicants please note: Minimum 3 month stay requirements apply... we create Homes, not hotels. Cleaner every week, tropical atmosphere, air conditioning, unlimited WiFi, pool, Netflix, tv's, its a nice old house in town.